Delivery drivers are always working to deadlines. Getting to your destination on time is always important, but getting there safely is also vital. The aim for any delivery driver is to develop a strategy that allows you to get there faster without taking any risks while striving for efficiency. Safety also means ensuring that your personal security is not compromised while you are trying to do your job. 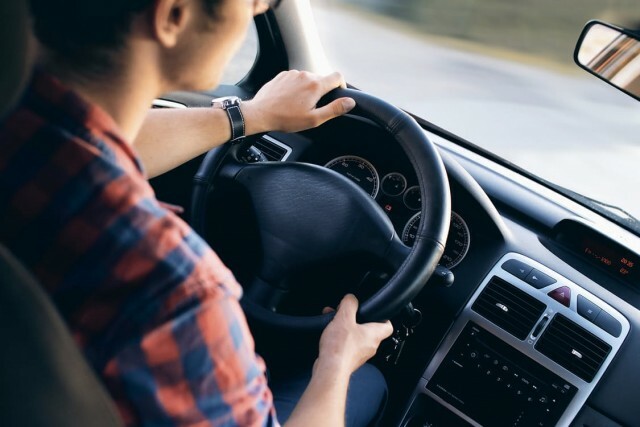 Here is a look at how to exercise caution when it comes to personal safety as well as getting to your destination in one piece. Distracted driving, seat belt safety and fatigued driving are all considerations that need talking about and including in your safety strategy. Some delivery drivers are more vulnerable than others when it comes to personal safety on the job. It all depends on what type of delivery work you are doing. If you are delivering food orders like pizza to customers, you could be considered an easy target. This is because a perpetrator will believe that you are carrying a certain amount of cash with you. Unfortunately, there are a plenty of reported incidents where an unarmed delivery driver has been robbed at gunpoint. Some major brands are aware of this risk and they advertise the fact that drivers only carry a small amount of cash to make change. If you are delivering fast food around your local area, be vigilant. If you arrive at a destination that looks vacant or just doesn’t feel right, trust your instincts and liaise with your employer if you doubt the authenticity of the situation. Also, keep in touch with the local police department if you experience any security issues. It is far better to put your personal safety first and be a few minutes late with your delivery than allowing personal safety to be compromised in any way. Weather conditions can have a significant impact on delivery times. It is always advisable to keep a close eye on current local weather conditions in your chosen delivery zone. If there is a severe weather warning and the local authorities are advising drivers not to travel on the roads, heed this advice. You don’t want to suspend delivery and disappoint customers, but if the weather conditions are treacherous, it is not worth taking any chance with your safety and risking the prospect of an accident. If you do end up in a crash, read this piece about what you should know if you’re ever involved in a car accident. Your main goal will be to stay safe on the road. There are ways to improve your chances of avoiding an accident during the course of your delivery work. Many responsible employers operate a safe driving program. If you are an employee, make sure you are fully briefed on all aspects of this program. Take any road safety training offered. If you work for yourself, you can still adopt safe driving practices and any training you undertake may reduce your tax bill. Seat belt use is a prime example of a simple but effective safety strategy. It is estimated that seat belt use saves well over 300,000 serious injuries yearly. About 12,000 lives are also saved every year in the U.S. Never consider driving a vehicle without using a seat belt. You are constantly in and out of your vehicle with multiple delivery drops. A few extra seconds connecting the most effective safety device in vehicles could make all the difference in a crash. Distracted driving is a major factor in over a quarter of all traffic crashes. Your work as a delivery driver will involve hectic schedules and updates arriving on your phone throughout the day. The temptation is there to multi-task and check your phone and read the message while still driving your vehicle at the same time! The average driver makes 200 different decisions during every mile traveled. This highlights how important it is to focus your attention on driving. Be disciplined with your mobile phone use while you are on the road. Driving when fatigued or drowsy will heighten your risk of being involved in an accident. There are well over 100,000 crashes each year attributed to fatigued driving. If you are feeling tired don’t take the risk of continuing to drive just to meet your deadlines. As a delivery driver, you are always going to be in a hurry. Don’t compromise your safety in order to meet that deadline.